Doolittle is a 33 year old paint pony, he has been a vital part of TACO for 10 years now. 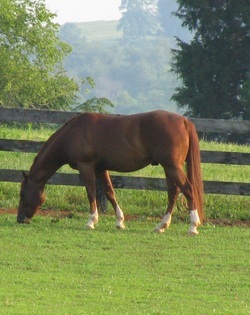 Doolittle was owned by Susan and graciously donated for TACO. Not only has Doolittle carried around our smaller campers, he has also had a very special job in past years! He was used with our cerebral palsy campers who we ride double with to provide them extra support. When Doolittle was not busy teaching campers how to ride, he was constantly trying to eat his leader's shirt. Due to his age, he was retired in 2011 from riding but Doolittle will always be remembered by the many campers he has helped teach to ride. In 2012 Doolittle was used to teach the leading portion of camp, and he loved every minute of it! I am sad to say that on Friday, July 20, 2012, we laid Doolittle to rest. He was diagnosed with cancer in February 2012 and despite all of our efforts, our vets efforts, and his efforts to fight it, in the end, the best decision for him was to lay him to rest. We were able to take one last picture with our campers and Doolittle before he was laid to rest. Doolittle will always be remembered by all of the campers, parents, and volunteers of TACO. He was a very special pony to all of us. TACO 2012 group picture with Doolittle. 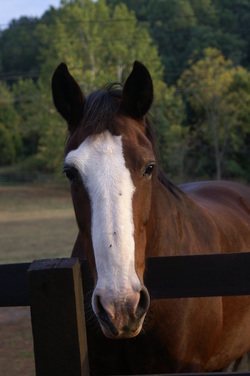 Savvy is a 22 year old Quarter horse, owned and donated to TACO by his owner Susan. He has been participating in TACO for 10 years this year. Savvy is a camp favorite and has left lasting memories in his camper's hearts, even those that have aged out. Other than camp, Savvy is retired from riding. He knows his job during camp and is wonderful at it. Some mornings the volunteers have to wake him up for camp, as he likes to snooze in the mornings!! If you get him out of his stall any other time of the year other than "camp time" he looks at you like "Its not time for camp?!" 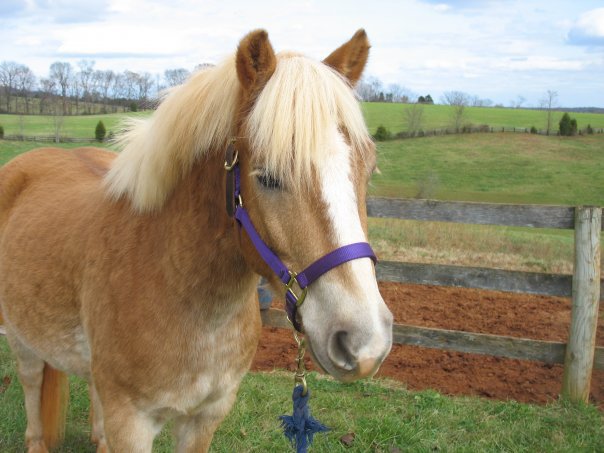 Penny is a 8 year old Quarter Pony owned by, Cheryl, boarder at Elmwood Farm. Penny knows every summer she gets a light week of work due to TACO, however in 2012 Penny's week of light work came to a halt very quickly to her surprise! When we ran short of horses due to a lameness mid-week Penny and her owner Cheryl came to our rescue by allowing us to use Penny. She had some large shoes to fill as we hoped she would be able to take on Doolittle's role and carry our campers that need a back-rider. She filled his shoes better than we could have ever imagined! Penny is a wonderful addition and a very valuable asset to TACO and we are thankful to her owner for allowing us the use of her. We look forward to Penny joining us in our future camps. Lindy is a draft horse who is owned Ellen, a TACO committee member. We are very thankful for Ellen donating Lindy for TACO. Prior to her owner purchasing her, Lindy was a police horse. Even after retiring as a police horse she has continued to serve her community by participating in TACO for the past 10 years. Lindy enjoys her morning and afternoon trail rides with her owner "across the road" to come to camp! While Lindy is our biggest horse used for camp, she is extremely gentle and has a heart bigger than she is! 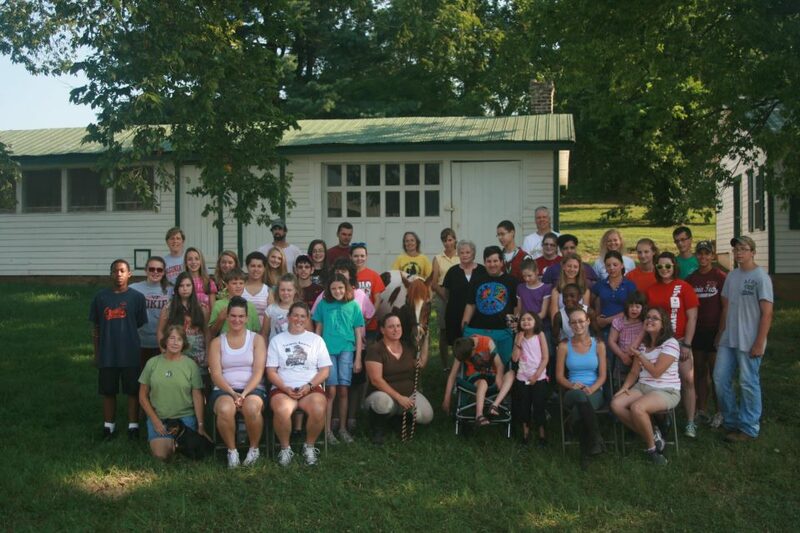 Year after year, campers ask to ride Lindy and they love being the camper on the "biggest horse". Lindy's favorite activity of camp is her daily belly scratches. Her owner can show you the exact place to scratch that will have Lindy stretched out with her head in the air in a matter of seconds. The campers LOVE watching this and giving her scratches. Cody is a 10 year old Quarter Horse, owned by Sally a boarder at Elmwood Farm. She is always willing to let us use Cody during camp. While he has not participated in the riding section of TACO, he has been a great benefit to the program in other ways. 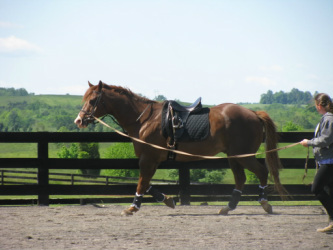 Cody is used during the Horse Education section of camp. Campers have groomed him and even put sticky notes over him labeling the body parts of the horse. Cody loves the attention the campers' give him and always looks forward to camp every year! 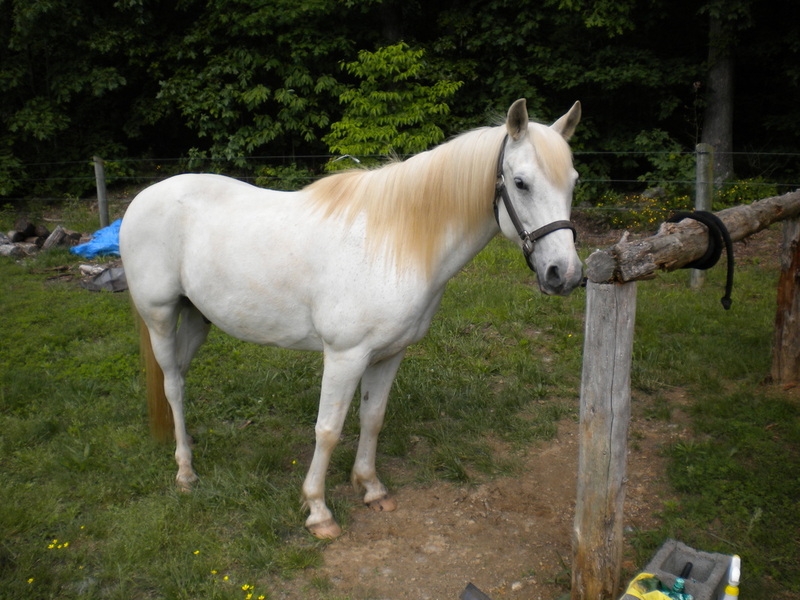 Grey Ghost is a 17 year old Welsh/Arabian pony owned by Teresa, TACO volunteer. He has been donated to us as a TACO pony for 4 years. 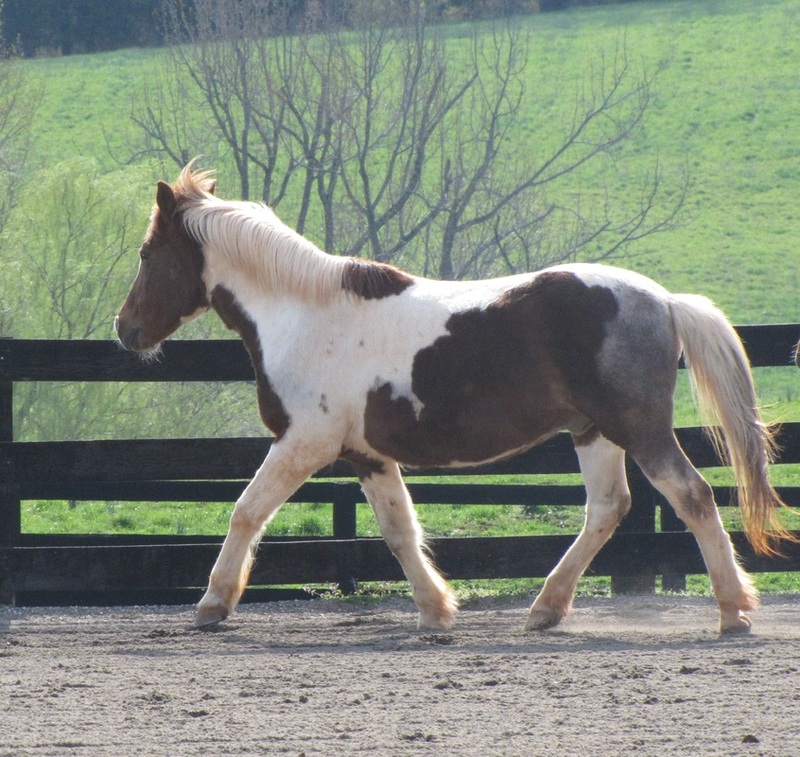 Trotting with the campers is his favorite activity at Camp. At only 12.2 hands, Grey Ghost is a favorite among campers, especially our smaller ones. In year's that Grey Ghost has been unable to make it to camp, his normal campers have always missed and asked about him! Snoopy is graciously donated to us for use during TACO by Stephen, a boarder at Elmwood. He is a Mustang Appaloosa Cross. Snoopy is a fantastic TACO pony and has been participating in TACO for 3 years now. He is very patient with his campers, and has helped many overcome their fears of riding. If his campers are scared to ride he is happy to walk along beside them in the ring instead! Herbie is a Hafflinger gelding who's owner, Kelly, donates him for use during TACO. Herbie has been a part of TACO since 2010, and we hope he will continue to be a part of our camp for many years. He enjoys coming to spend a week "at the farm" during camp and interacting with the campers. Herbie has 2 speeds, slow and slower! With some encouragement from his rider he will trot. He has been a huge confidence builder for many of his riders, and has shared his patience with them and helped them overcome their fears! 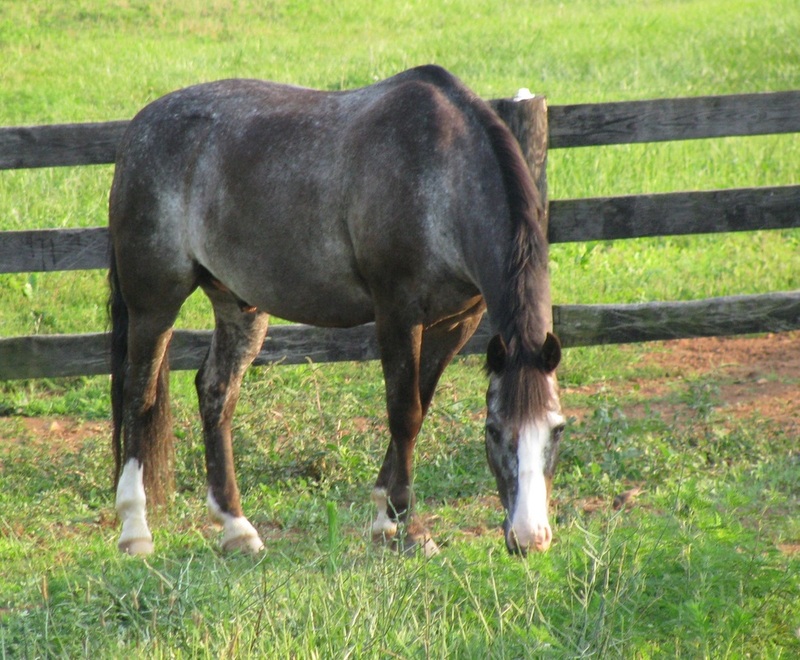 Stormy, age 20, is an Arabian mare. She has been owned by her current owner Rhonda, since 2008. Since then Stormy and Rhonda have developed a wonderful relationship. Together they have done natural horsemanship demos. Stormy loves treats and is very good at finding them in your pockets. We are excited to welcome Stormy to our TACO program in 2012! She worked wonderfully with our campers and they all loved her! Dawn is a 24 year old Arabian mare. She is owned by Susan. Dawn has recently been brought out of retirement, and has been a pleasure to work with.. Dawn is ALWAYS looking for treats, from everyone! We are thrilled to have welcomed Dawn in to our TACO program in 2012. 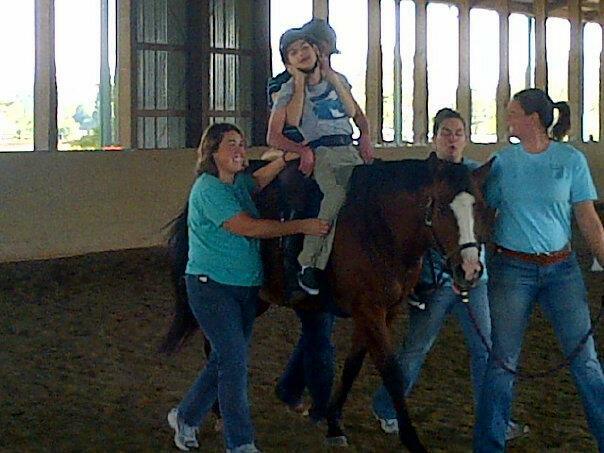 Dawn is now currently serving at a year long Therapeutic Riding Camp, however, she will be back for our 2013 Summer camp! Sadly, Dawn passed away in the field in January 2014, everyone at TACO will greatly miss her.